In honor of the late Jeffrey G. Barlow, (Pacific University), longtime ASPAC advocate and publisher of E-ASPAC, the ASPAC board has instituted a new prize for the best student paper in any area of Chinese studies to begin at the 2018 ASPAC conference. The award will be $300; the awardee will be selected by the prize committee. Dr. Jeffrey Barlow was a longtime history professor and Berglund Center founding director at the Pacific University, Oregon. 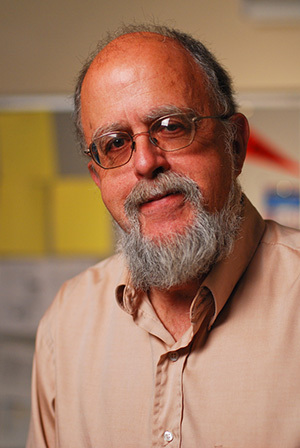 Dr. Barlow passed away on Wednesday, Oct. 12, following an extended illness. He received professor emeritus status upon his retirement in 2012, after serving as the Matsushita Chair of Asian and International Studies at Pacific for many years. A lifelong friend of China, Jeffrey was active in the U.S. China Peoples’ Friendship Association before normalization of U.S.-China relations in 1978. From 1979 to 2010 he led academic, business, student and tourist groups to China and Vietnam. In the 1990s he worked for normalization of U.S. relations with Vietnam. Dr. Barlow was well published in his fields and has several books to his name. He was a Fulbright student and a Fulbright Scholar. Jeff worked tirelessly to increase awareness of the importance of Sino-American ties regionally and throughout America. His efforts also helped numerous Pacific University graduates secure career opportunities in China, as well as Chinese students enrolling in Pacific’s College of Education for postgraduate work. The Northwest China Council honored Jeff at its 30th annual Reunion Gala in 2010 for contributions to the organization’s growth in both membership and influence. Founded in 1980 by Jeff and other charter members, the NWCC is now the umbrella group for all groups and individuals in the Northwest who are interested in U.S.-China ties, whether educational, business and trade or tourism. As founding director of Pacific’s Berglund Center for Internet Studies, Jeff led Pacific to become the first organization in the world to effectively “cyber host” a scholarly meeting of the Asian Studies on the Pacific Coast organization in 1995. 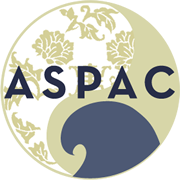 The organization’s electronic journal, E-AsPac, founded and edited by Barlow, is also hosted at Pacific University and has given the university a major profile in Asia. It was the first peer-reviewed electronic journal in Asian Studies to appear on the web.